The main roads were always busy, even in those days. But hardly anyone in our street owned a car, so it was virtually traffic-free. A lorry or a delivery van might interrupt our game every half-hour or so, but there was no speeding, as drivers all knew there would be kids in the suburban streets, and so drove accordingly. Children enjoyed a greater amount of personal freedom during leisure time back then. We were allowed out … by ourselves! Suburbia was one huge playground for us. We played every game ever heard of, and invented hundreds of variations. Today, children are more sedentary, not active like we were in the ‘good old days’: too much ‘screen-time’ and too little ‘scream time’. Mum used to borrow about six books a week, at a penny-a-book from a little commercial lending library on the beach-front near the Brighton-le-Sands shopping precinct. Dad, Mum, my brother and I would read each night, after listening to the serials and the ABC news on the radio. I started off reading comics during these after-dinner sessions, but soon graduated to books. I have quality memories of my dad reading the Jack London books, ‘White Fang’ and ‘Call of the Wild’ to me as serials. I’m sure there were other books he read to me, but those two stand out in my memory. We would lie together, side-by-side on the couch in our living room, and he’d read one chapter of the books to me, one a session, just to make it last. I was enthralled. The beach and swimming were our most popular activities, though. We loved the high tides, as they left sand cliffs to enjoy. 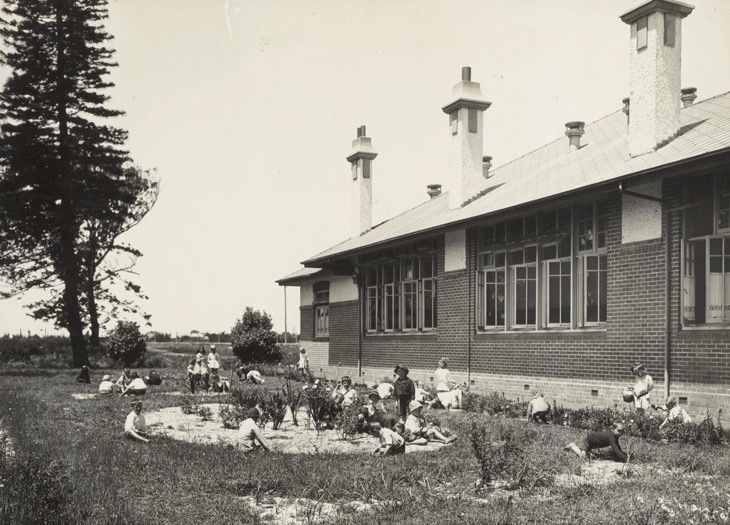 We haunted Brighton-le-Sands Ocean Baths, an immense boardwalk in a timber-planked semicircle, supporting a steel mesh enclosure, where you could frolic, supervised, in deep water without fear of sharks. The real swimming fun, of course, was the open beach, especially when the surf was up. I can still recall the exhilaration of being ‘dumped’, and coming up to clear my eyes, ears and nose of sea-water and sand, then going back again for more. We even targeted the beach in winter, as there were the sandhills to roll down, to play in and to explore. That whole area is now levelled grass parks with picnic tables and tarred car-park bays. 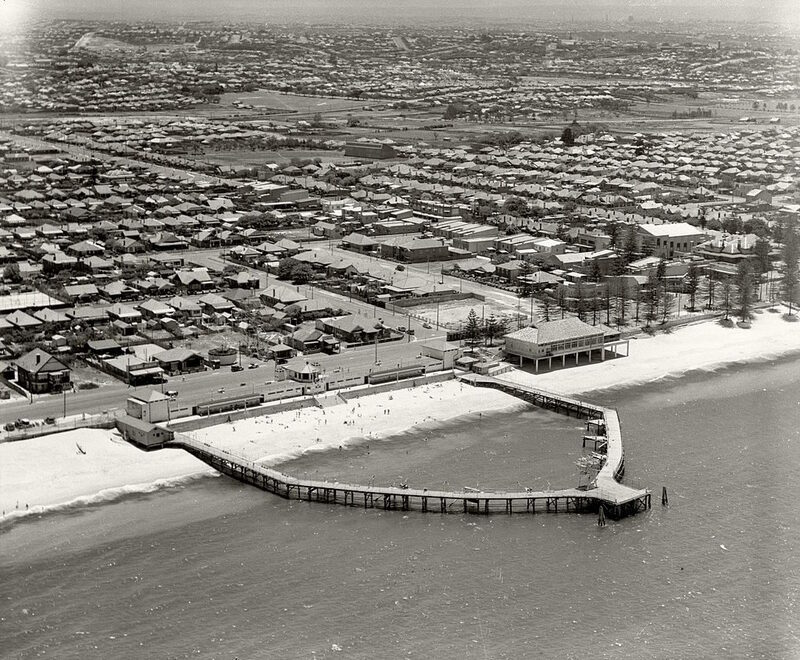 But in the 1940s and 1950s there used to be tall sand dunes all along General Holmes Drive, fronting Botany Bay’s ‘Lady Robinsons Beach’. The wind would frequently blow drifts across the road, blocking it, or making driving conditions dangerous, so it is no wonder nature was eventually tamed, and the dunes levelled by the local council. It’s a shame, though, that today’s young people can’t experience the games and fun we had on the beach and in the sandhills back then. A whole bunch of us used to play ‘war’ in those sand hills. We’d dig trenches and make machine-gun nests and re-fight the war all over again. My brother had ‘acquired’ a Japanese Arisaka rifle, I’m not sure where he got it from, but it had pride-of-place among his possessions. On rare occasions, I was allowed to hold it, even work the bolt, and then ‘dry fire’ it. One day we were having a battle in the dunes, when it was decided to use the Arisaka. Another boy and I were sent home to get the rifle and bring it back to the sandhills. I think I was about seven at the time, my big brother’s willing slave. We collected the rifle and got back to the busy road, General Holmes Drive, which we had to cross to reach the sandhills. While we were waiting for a break in the traffic a police car pulled up and two large policemen began questioning us. I said it was my brother’s rifle and I was taking it to him. He was called. After he explained that the firing pin had been removed, and the rifle made otherwise inoperable, we were finally sent on our way … with the rifle. I remember being frightened out of my wits by the confrontation at the time. 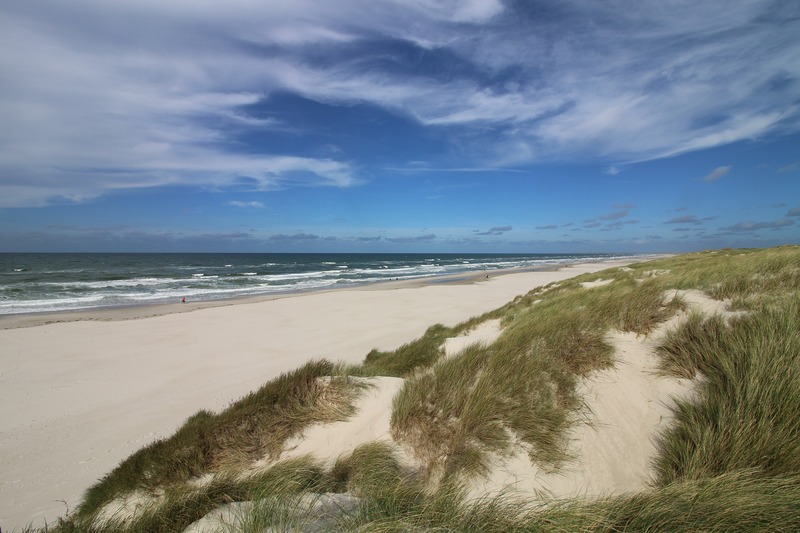 The dunes were a great place to play anytime, whether winter or summer, and sledding was always a favourite activity. Sometimes, we would just take a piece of a cardboard box, sit on it at the top of the sand dune, pull the front of the cardboard sheet up a bit, and get sliding. At other times, we would be far more sophisticated; we’d get a wide splintery hardwood paling from a fence, round or point one end and soak it, before placing it between house bricks, so it would dry with a warp as a lift at that end, which would become the front of our board. Later, we’d add a tiny flat seat at the back, and an equally tiny foot rest near the front. We’d then polish the underside of the paling with candle wax, making it slippery to decrease friction on the sand. It took hours of work, but the end result was a board that would give an exciting and fast ride. A really good ride would see you reach the damp sand close to the waves. Very occasionally, you’d actually reach the water. We would have competitions to see who could go the longest distance, and side-by-side races to see whose board was fastest. By leaning your weight to one side, you could make the board’s path curve, and by leaning from side-to-side, you could describe an “S” shaped path. Dragging your hands acted as rudimentary brakes, but doing so, usually resulted in a crash. There were actually lots of tumbles, and it was amazing the body places you could find sand in after a sliding session. Also surprising was how much sand you could carry home in your clothes at the end of the day. The walk back up the dunes after a ride was tiring, just ask anyone who trains on soft sand hills, so after a number of rides it was quite exhausting. I can never recall being bored as a kid, as there was school, playing, reading and always the beach. boys games have always included war gamesIs playing in sand dunes still a part of modern life?the beach and swimming part of aussie lifewhat constitutes a happy childhood?What was life like in Brighton-le-Sands in the 40s? Thanks for posting these reminiscences, Anne. I have great memories of that time and that lifestyle. Where did my youth go? The Wikipedia photo you added at the end of the post also makes me tear up; as kids we spent hours climbing the trees along that beach front. The Norfolk Island pines were easy to climb with their horizontal branches, but great care was needed as those branches tended to snap off very easily. You’re very welcome, Ian. My followers jumped up suddenly after I posted it. I was wondering if it was the tag “Brighton-le-Sands” that did it. There was a photo of a tram that I liked, too, but decided to hold it.